The West Lebanon Public Library offers a Community Room to the public that may be reserved for parties and events. The room measures approximately 25′ x 32′. Included in the room are four 8′ folding tables, two 6′ wooden tables, and 35 metal folding chairs. There are 4 electrical outlets and internet connectivity. The kitchenette area has a mini fridge, sink, and microwave for public use but must be left clean. 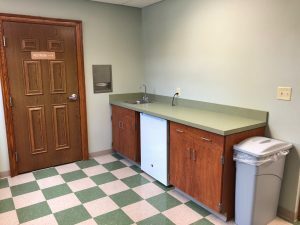 A unisex bathroom is available as well as a handicap accessible lift which is located adjacent to the community room and kitchenette area. 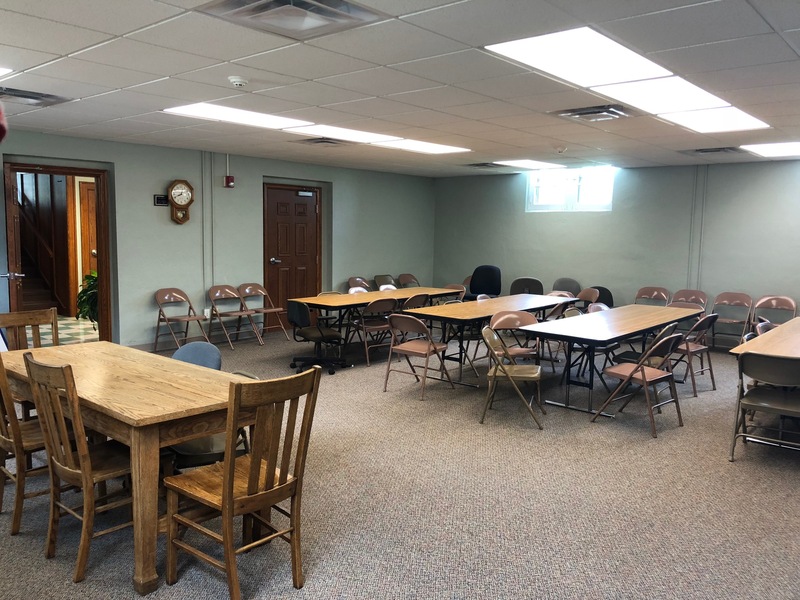 The community room is free to residents of Pike Township non-profit groups and residents. A fee of $50 will be charged for non-residents wishing to use the room. A $50 damage deposit shall accompany each application. The deposit is refundable after deductions for damages, if any. Please call the West Lebanon Library to check on availability of the room. Below is a PDF for the use of our facility and application.